This Stained Oak Dresser was requested by the customer to replace an old, worn out store-bought dresser...which lasted less than 3 years! The customer specified oak with a medium brown stain to match existing colors in her bedroom. 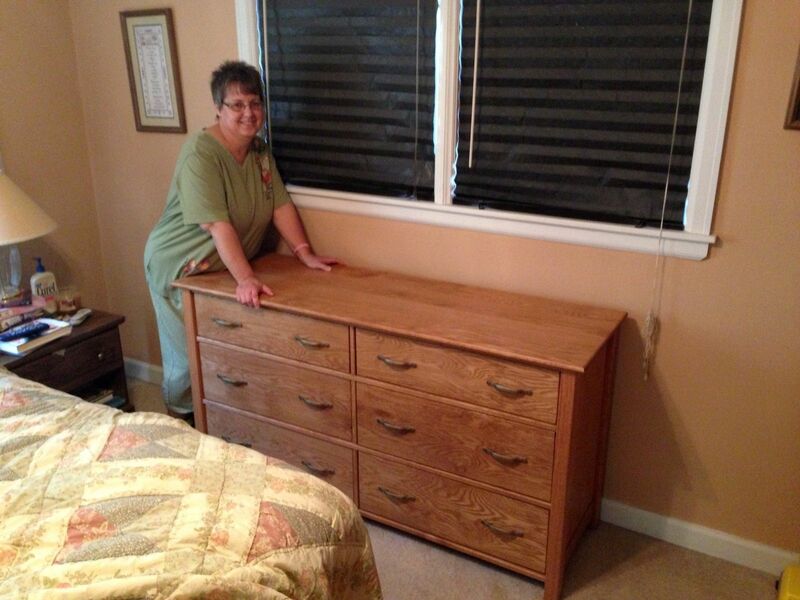 She also specified exact sizes as the Stained Oak Dresser had to fit in a very tight space between bed & wall. The Stained Oak Dresser is constructed with mortise & tenon joinery while the six drawers are constructed by using dovetail joinery. The drawers also move on ball bearing full extension drawer slides. The Dresser was stained & allowed to dry for 48 hours, followed by an application of a 50/50 mix of Danish wood oil & a satin polyurethane. 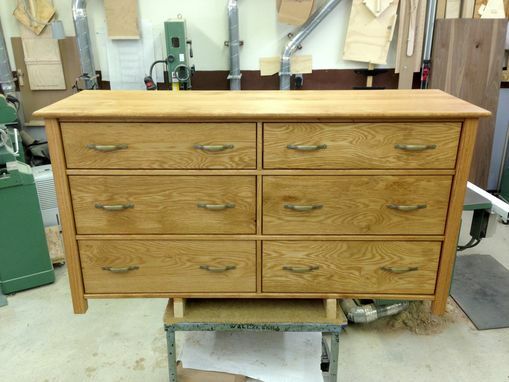 The final touch was a buffing with a high quality wax followed by a complete hand rub down of the Stained Oak Dresser.